Would you listen to Parallel Universes of Self again? Why? Yes - you can't find this information anywhere else - it's line after line of invaluable (and often humorous) wisdom. NO! The information is so dense and provocative that you will want to take it in slowly. This is NOT light entertainment or superficial 'feel good" material. 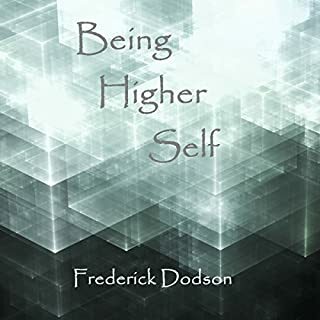 I've been reading self help/personal development/spiritual books for over twenty years - Wayne Dyer - Deepak - Tony Robbins - Abraham Hicks - Pema Chodron, etc... I'm a bit of a junkie, so I feel more than qualified to say that while I love all the aforementioned authors, no one comes close to the profound, liberating and highly actionable messages in this book. And finally, Thomas Miller does a great job with narration. You couldn't ask for more. 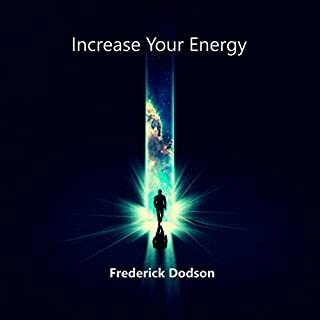 Frederick Dodson describes in detail many processes one can use to better utilize the power of LOA. All questions I had were answered. He lays it out for the layman and makes it easy to understand and replicate. He goes deeper than many authors on the subject, and I've read books by many. You can call me a LOA junkie. His work comes highly recommended! I listened to this book in a 24 hour period which includes the hours I should have been sleeping. I turned it off only to turn it right back on. 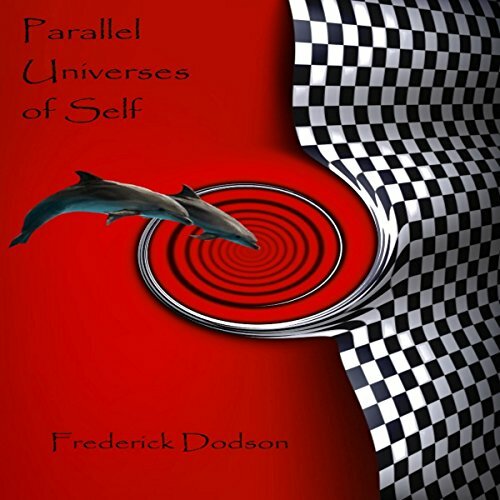 Would you consider the audio edition of Parallel Universes of Self to be better than the print version? In my opeinion I always prefer audio version and the reader is quite good. What was one of the most memorable moments of Parallel Universes of Self? Repeatedly hearing that apparent limits and roadblocks are not such a serious challenge .. if one has an array of techniques. Have you listened to any of Thomas Miller’s other performances before? How does this one compare? Yes.. I appreciate his enunciation. Yes and It too two days as it is so long I love this boook dodson is great. really good.. since I ahve read hundreds of books in this genre this is substantial to say this. Have to agree with K. Maloo, this is the best book on this subject I've come across. The meditations are amazing and I wish there was a workbook that came with it so I could go back and reference the meditations. 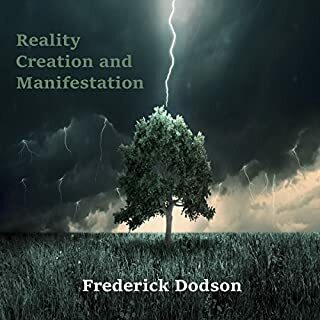 I will probably go back and buy the book itself so I can reference the meditations, as many of them are highly effective techniques I've used in the past -- before I have ever heard of the whole Reality Creation craze. One funny story, there is a section where he talks about not getting mad at your GPS. Well I was literally just scolding my GPS in the car 1 second before that part came on lol. Out of all the books I have listened to on this subject, this one seems to be the most practical and grounded. Most everyone continues to listen, but fail to participate where it is recommended & required. One goes to the gym to build a physique. Do the work & you will undoubtedly see the results. Just starting the 3rd time. If this guy is crazy he totally does it with ingenuity and originality. A lot of new idea's that I will have to ponder. 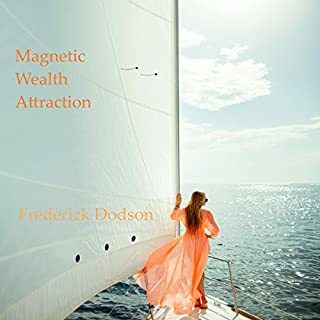 I have to say I really enjoy Frederick Dodsons books and get a great deal from them. These are really special and not like anything I've read/listened to before. I also enjoy Thomas Millers narration greatly. If there is anything, literally anything, you want to do or achieve and you're unsure how to fo it. This will teach you. I love Fred but please be warned!! 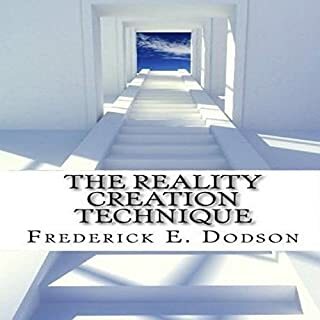 After listening to 60 hours of Fred's books in under a couple of months I became a big practitioner of his teachings. I believed wholeheartedly in the levels of energy, the different spirit planes, the cycle of reincarnation and parallel universes. I was quite knocked back however when Fred mentioned a book called 'A Flight to Heaven' by Dale Black, which is essentially about a pilot who dies in a plane crash and goes to heaven. Fred uses this as an example of the spirit plane, where we will all go when we die. When we get there, we apparently meet our spirit guides to discuss how the life went before reincarnating again if we so wish. Theres so much more to it, quite fascinating to consider. Now, I fully believe(d) in all the above. However, regarding the Flight to Heaven book which was quoted, I decided to an interview with Dale Black. In the interview, he breaks down describing how beautiful heaven is which as described by Fred. However, he breaks down just as hard as he describes feeling a demonic presence take his co pilot to hell. This had me confused and in denial as it totally contradicts Fred's teachings, something I wholeheartedly lived and agreed. 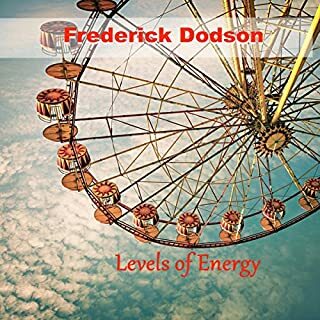 Fred even states that a murder may decide to reincarnate as a victim to balance out Karma in the next life and essentially life is just a playground (unless you fall massively down the "scale of energy"). As I dug more into the subject of hell and heaven, I found that there are in fact DOZENS of testimonies of people physically visiting hell after NDE's and other occurrences and these people were not below '0' on the scale. Fred states that one must go SO LOW in order to even touch what feels like hell. Still in denial, I refused to believe that hell actually exists but I couldn't shake the thought. I saw a testimony from someone in America and another from a girl in South America. They both describe seeing the same now deceased Pop start in Hell being tormented in horrible ways. This was only one of many connections I made and more than enough for me to put 2 and 2 together. After repenting, I am now a born again Christian although I believe I have some bagged to get rid of. Jesus Christ is our one true Lord and Saviour and nothing else matters. Not only have I found that heaven and hell exist but so do demons and they are much more prevalent than we think. You need to understand that all "spiritual" teachings, from the Law of Attraction to Levels of Energy disregard Jesus as being our one true Lord and Saviour. Fred Acknowledges Jesus as a "level 1000" on the scale, he has read the KJV of the Bible also. However, like many of us he has not realised the true implications of the above. I implore people to read Pittman's book called Placebo which explains how demons operate. Also read a Trip to Hell by Mary K Baxter or watch her interviews on Youtube. I have spent the past 3 years heavily into the spiritual and it has never brought me true peace. I believe that along the way (and through some recreational drug use), I have invited many demons into my life and I am currently in the process of deliverance. I love Fred to death and I believe that he is an expert in this field of knowledge. However, it is all irrelevant in the grand scheme of things and demonic at that. There are no spirit guides. There is no spirit plane. There is no reincarnation. Humanity is in the last stretch. There is no aliens. If someone had said these things to me only a month ago I would've thought they were ignorant, dumb, or just a sub/low level 200 person on the energy scale. Once you understand the Truth, you realise how these things are not real however. Fred, I really hope you read this review and consider the above. I wrote this for you because via email you're so hard to get hold of. Forget everything you've come to know for just a few minutes and consider what I'm saying. These things you're teaching are indirectly demonic brother. They detract from the truth and anything that leads away from the truth, the narrow path of righteousness , is serving Satan. I'm telling you Fred, there are demons queuing up for your death day because of your knowledge and large following. You must repent Fred. You must find Jesus. Please. Just check out John Zavlaris on youtube and watch some of his deliverance videos. I know that you live in New York Fred so you are so close to his ministry. Go there and ask him to deliver you. You will be amazed at the demons who are manipulating you. I can feel them in me now that I am aware. This is real guys. Not only is the Bible real, but Satan is too and he is VERY VERY VERY GOOD at what he does. He isn't called the deceiver for nothing. He's being operating for thousands of years. He's has great knowledge. Just look at pop culture, the new age movement. He controls these things. Even things like Buddhism will lead a man to hell!! We need to repent and live with Christ.